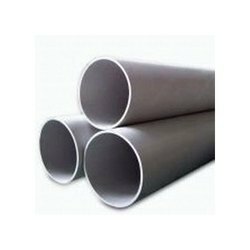 We are leading Importer and Exporter of Cold Rolled Pipes such as Cold Rolled Steel Pipes and Cold Drawn Stainless Steel Pipes from Chennai. Products offered are fabricated using optimum-grade raw material and machinery at our vendor base. The product we are offering to our patrons is Cold Drawn Stainless Steel Pipes. The product we offer is widely demanded and appreciated by our respected clients due to its high tensile strength and optimality. These anti-corrosive pipes are highly durable and are fabricated using advanced machinery and tools at the production premise of our vendor. Looking for Cold Rolled Pipes ?